Over the past few years, Daily Fantasy Sports has been growing at an exponential rate. This site was built in an effort to help gather all of the great Daily Fantasy articles people have been writing into one jumping off point. My name’s David Gonos, and this site is my creation – although, it’s not a “new idea,” exactly. I owe much of the creation of this site to Goose and the crew at FantasyRundown.com. Every day, rain or shine, they post links to the best Fantasy Baseball and Fantasy Football articles on the web, and nobody does it better. In 2008, I left CBSSports.com after five years as a Senior Fantasy Writer to lead a content group at a startup called OPENSports.com. We had tons of problems getting the site aimed in the right direction, but one thing they did have was Daily Fantasy Football and plans for Daily Fantasy Baseball. This was pretty far out ahead of its time, mind you. Remember, Facebook was just getting going at this time and FanDuel was still a year away from creation. My staff and I started writing content for these Daily Fantasy Sports, and we were hooked right out of the gate. Unfortunately, we just couldn’t get the customers and we didn’t have the time we needed to keep it all going. The company closed its doors in December of 2010, and by then, there were Daily Fantasy sites popping up everywhere. In 2013, I joined another site called DFSEdge.com, where I started to learn the intricacies of these games, helped greatly by our leader, Robert Poe. Some of my fellow writers, like Doug Anderson, Derek Carty, Todd Zola, Steve Pimental, Craig Ellenport and Kyle Soppe, helped me get better – and win more money! In 2001, Barry Bonds likely would have cost you $9 billion in a daily game. He hit 74 homers that season. This site, Daily Fantasy Daily, is my playpen for these games. I love reading articles about them, and I love playing all the different types of games. While I’ll post daily links, I’ll also do my best to explain why I like this specific article. I’ll also do my best to share some of the things I’ve learned in my own research. I write weekly columns for both SportsIllustrated.com and FantasySports.About.com, so I’m always coming across great tidbits of information that need sharing! We’ve seen Fantasy Sports games evolve over the past couple decades, from a game you had to track with newspapers and boxscores, to bulky, uncustomizable games online, to fully customizable games online everywhere now. That evolution has continued over to the Daily Fantasy sites, where most of them are powered by former poker site owners. The future, I believe, is in Daily Fantasy games. People have devices with them at all times, and they can set lineups and join tournaments on their phones and tablets or their computers at work. Over the next decade, we’re going to see mainstream sites, like CBSSports.com, ESPN.com and Yahoo! 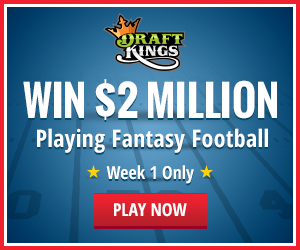 build their own Daily Fantasy games. They could very well be for real money, too, but with a much bigger rake than what we’re seeing from sites like FanDuel, Draft Day and Draft Kings. 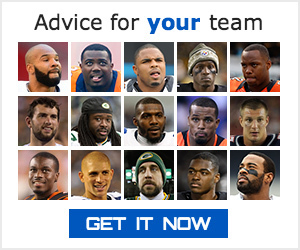 So I look forward to helping everyone learn about Daily Fantasy Baseball and Football – and make some money to boot!